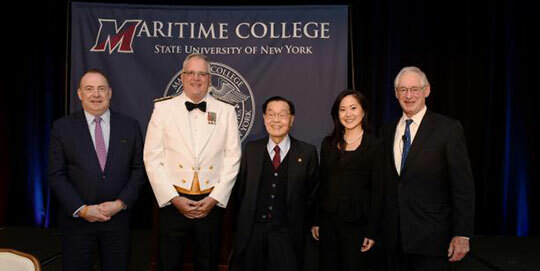 ​The Foremost Group Founder, Dr. James S.C. Chao and his daughter, Angela Chao, Chairman were honored by the SUNY Maritime College at its 15th annual Awards and Fundraising dinner. ​At a recent meeting of the Association of Ship Brokers and Agents, Angela Chao, Deputy Chairman of Foremost cautioned against abandoning traditional strategies. ​Christine Chao replaces Angela on the panel of "The Life of a Ship"